"A first consultation, without obligation"
There are times when it can prove difficult to establish your true financial needs. You may want an expert to consider whether or not your finances are in order or to point out if you need to take some action. We offer a no obligation consultation, with one of our advisers, in our Southwark Office to consider your personal circumstances. If you would prefer it is possible to hold a consultation over the telephone. Should you decide to use our services we charge fees for the work we do for you, like any professional, and this will be explained in detail before work commences. In a similar way as the medical profession, there are differences between the manner in which financial planners operate. Some can be viewed as general practitioners, whilst others choose to specialise on certain areas of advice. Assisting our clients to plan for their futures normally requires us to consider all aspects of their financial well being. We are careful to ensure that we highlight any protection needs, investment or tax saving opportunities that exist. This level of service demands the general financial planning skills that we have built up over the years our business has been in operation. 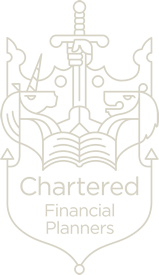 We understand that there are circumstances of financial planning where the expert knowledge of a specialist is required. If we don't have the expertise in-house we will refer you to another qualified professional with the right expertise and knowledge to help you.